The 10 Mile and 5 Mile will be led by a bicycle rider and we will have green flags and people spread throughout the course. There will also be marking on the ground so that you can’t get lost! This is an out and back course. We start at the Sanford Sports Complex. You will run a small section of sidewalks in the Complex before you head out onto the bike trail. From there you will run South towards Elmwood Park. You will run the 5 Mile loop two times. This race is an out and back course running North towards the Falls. You will run under the bridge on the way out. Run up the path and circle back around to head back towards the Sports Complex. On the way back runners will run over the tracks and head back to the Sports Complex. Note: Sizes will not be collected and shirts are not guaranteed for Late and Same Day Registration. There will be a selection of shirts available at check-in on a first come-first serve basis for these registrants. Click Here For Packet Pickup Info! Register by March 29th, 11:59 PM to guarantee the shirt of your chosen size. Sizes will not be collected and shirts are not guaranteed for late (After March 29th) and same day registrants. There will be a limited selection of shirts available for late and same day registrants at check-in -- first come/first serve -- while supplies last! 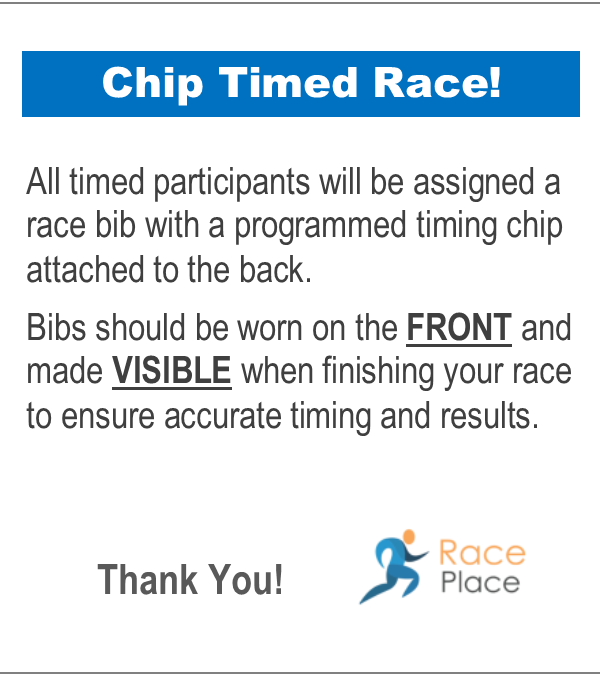 The Chilly Cheeks Run will be Chip Timed by Race Place Chip Timing. 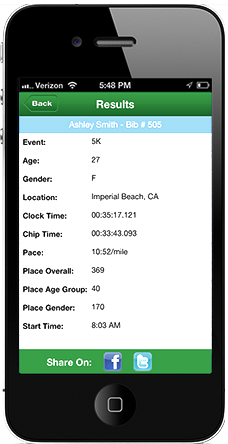 Results will be updated live throughout the race and can be viewed immediately after crossing the finish line on tablet kiosks and a scrolling results screen. Gun and Chip Times provided. Results order and awards will be determined by Gun Time. Competitive runners should line up towards the front of the start line. This year, we will again be collecting monetary donations for Project SOS - and school supplies to be put into the backpacks that are distributed to the community at the start of the school year! This is a chip timed event - AllSportCentral will be timing! Get ready for those Spring and Summer marathons with our longer courses! All shirts are unisex. After March 29 those that register are NOT GUARANTEED A SIZE. You may not switch shirts at packet pickup - after the race if you would like to exchange shirts you are able to if there are any available. This run will be located at Riverdale Park on the bike trail. It will be a shot gun start that will conclude with a chili feed while awards are given out. PACKET PICKUP will be at our sponsor 605 Running Company ON FRIDAY NIGHT TIME 12:00 - 7:00 pm at the store right across the street from the Diner on Phillips. RACE DAY PACKET PICKUP IS LIMITED. This year we will be collecting monetary donations for Project SOS and school supplies to be put into the backpacks that are distributed to the community at the start of the school year.